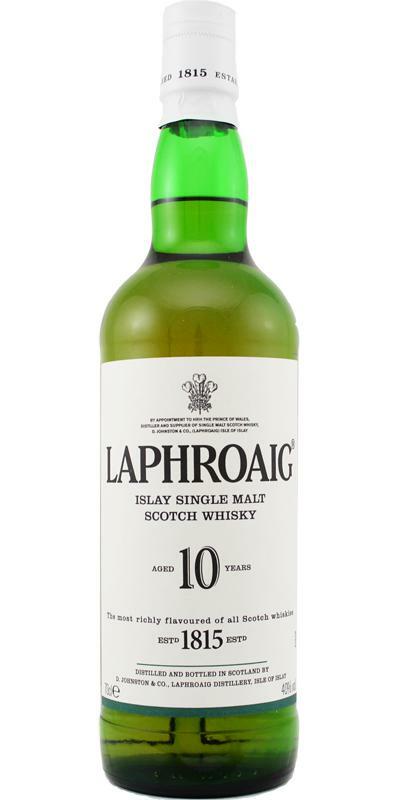 A revelation to some but simply disgusting to others, Laphroaig 10 is arguably the most intense of all Single Malts. Your taste buds are shocked by the unfamiliar, dominated by dry peatiness. The nose reminds of an old steam engine, road tar and burned rubber. Rotting seaweed, iodine and mineral notes combine with chimney smoke, TCP and a cold ashtray. Flavorwise, an overwhelming phenolic blast subdues the underlying sweetness. 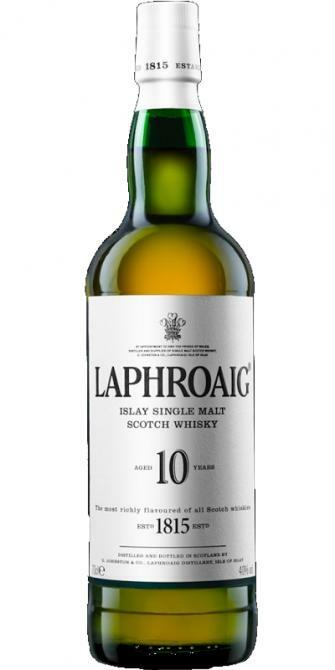 Crisp oak and salty dryness characterize the peaty finish. Whether you love it or hate it, you will never forget it! Nice one, with a quite singular profile. But too reduced. Not my favourite among the entry-level Islayers, but a must try. Lacks a bit more ABV and complexity to get an higher score in my view. Vanilla, medicinal peat (it smells a bit the hospital, or old people's home). Clear influence of ex bourbon wood. A bit sugarry. Not too weak at 40%. The more aeration it gets, the less the peat is present. Yeah, the medicinal notes are more present than on the nose. So is the reduction, unfortunately... This a bit too weak despite a nice profile, with vanilla, meds. Not very complex but it works. 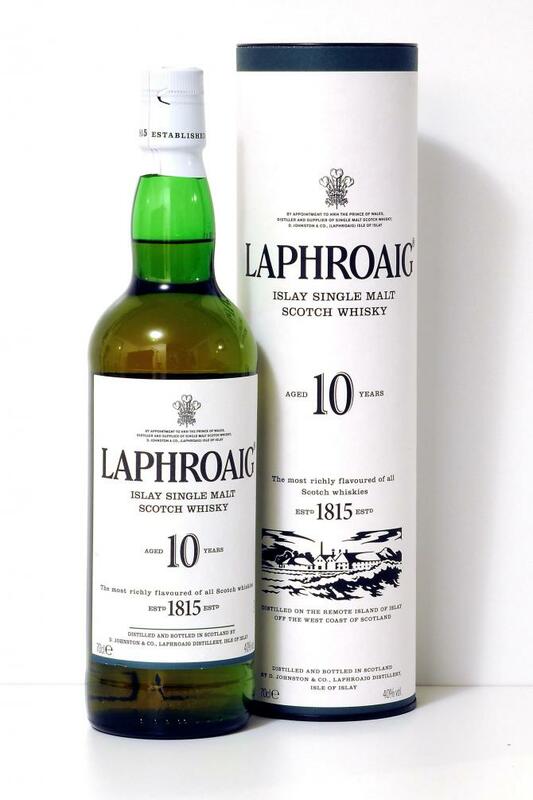 The nose is good medicinal peat, iodized, with a hint of ether, salt and lemon. And this smell of bandages, it's really betadine? It's like walking through the corridors of a hospital. In the background, I notice dried fruits and wood, maybe some dark chocolate, or mocha. The appetizer is a little light, it lacks a few degrees, but it is warm and friendly, with liquorice stick, more salt than caramel, pepper, cola. It's almost sparkling. There is coffee in the finish, but with very little bitterness, and still chocolate. It's long in the mouth, deep, slightly oily, spicy (cumin I would say, and a pinch of paprika). It's a whisky that I like a lot, one of my favorites. I thoroughly enjoyed this. I think, with the exception of the Balvenie DoubleWood (which is a personal favourite at this level), it's probably the best thing on a supermarket shelf. It's not overly complex, but the flavours it does have are strong. I've read a few comments on here regarding the ABV not being strong enough; I actually disagree, I think the 40% works really well with this. The nose is powerful with lots of smoke and medicinal notes. I also picked up on lots of citrus, and after 15 minutes in the glass I also got some vanilla. BANG. This is only 40%?! It's very much a continuation of the nose; there really isn't any fruit, just lots of smoke, leather, medicinal notes and a slight cream after a few mouthfuls. I found the finish to be short and very smooth, understandable without much burn at this abv.